Untried number 11...I am almost halfway there! It's almost time for a major swatch fest to get some untrieds out of the way. 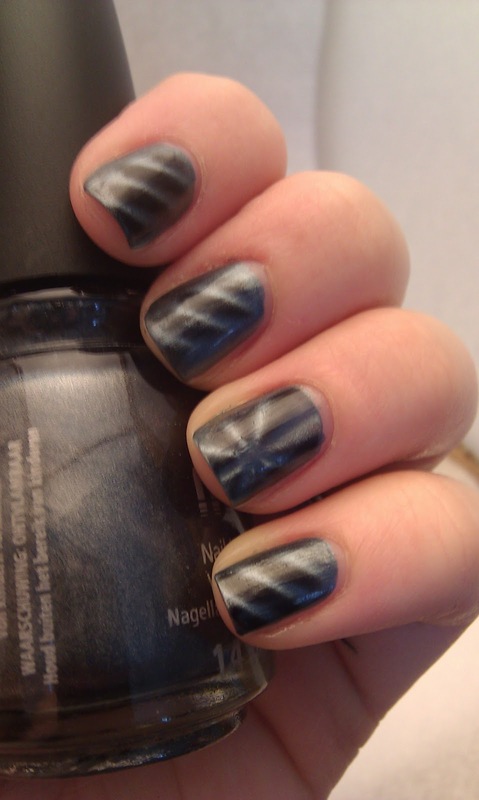 China Glaze Pull Me Close is a part of the first Magnetix collection that was released earlier this year, you know, back when they were huge? Ha ha well I think the community is kind of over them. 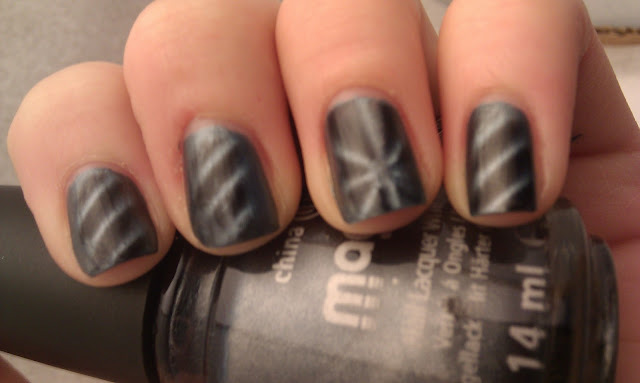 I used two different magnets for this mani to show a traditional stripe and the star, which is my personal fav. No topcoat on these pics.